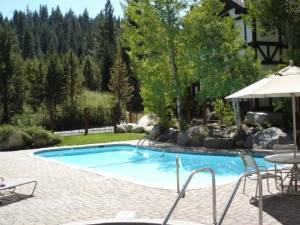 Luxurious, like new, 1375 sq ft condominium in Squaw Valley. 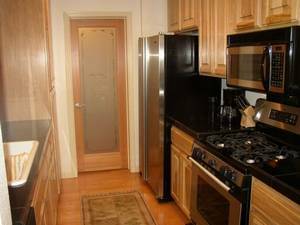 Excellent location, fully enclosed parking garage, just minutes from both the Alpine Meadows and Squaw Valley ski lifts. Shuttle service is available to both resorts. There is a garage & ski storage beneath unit for easy access in snow storms. 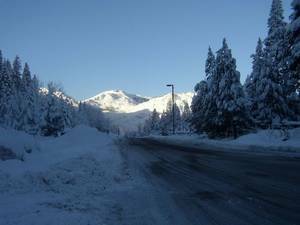 The condo has direct access to major roads;1/4 mi to Hwy 89,(10 mi to Hwy 80) and 7 mi to Lake Tahoe. 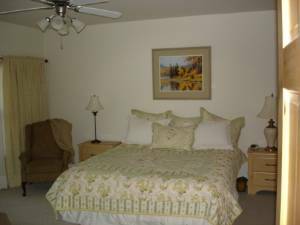 The Tavern Inn is a 56 unit condominium complex with sauna, spa, pool and tennis courts. Its central location allows easy access to the areas recreational wonders, while providing a refuge to the traffic congestion that occurs at peak vacation times. There are a variety of excellent restaurants within 15 minutes. 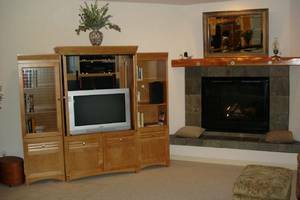 World class entertainment is regularly featured in the greater Lake Tahoe / Reno area (1 hour). Visit the Resort at Squaw Creek, a five star hotel with four restaurants, & a 10 minute walk from unit 42. The Squaw Valley Ski Area is truly of world class quality with expansive slopes, many lifts, ice skating and dining at High Camp and a variety of challenging runs frequented by the West’s best skiers. The “Village“ at the base of the lifts, hosts shops, boutiques, children’s activities, and over five restaurants. Tahoe City is a gateway to Lake Tahoe with a variety of public beaches, bikeways and other recreational activities. This charming, small town features gift and decorative shops, restaurants, clothing & sport stores, and two supermarkets. There is also a Popcorn Maker for treats while you enjoy the Hi-Definition TV and film library. Beautiful beaches nearby, great hiking & biking. email for summer activities & photos. 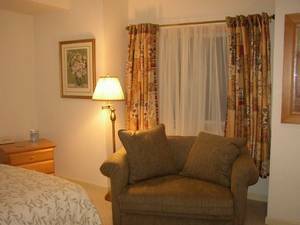 All holidays except for Christmas are $340.00 per night. When you stay for a week you get one night free which is reflected in the weekly rate. Deposit: $500 security deposit. 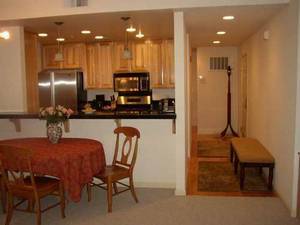 %25 of rent is due at time of reservation and the balance is due three weeks prior to stay. Cancellations and Refunds: 100% refund if cancellation made up to 1 month prior to stay.